A film is being made on Kannada's witty playwright T P Kailasam. RJ and theatre and film (Prem Kahani, Just Math Mathalli and Chiru) actor M G Srinivas has now directed a 45-minute film titled Simply Kailawesome as a tribute to the litterateur. Says Srini, "The film is based on A S Murthy's play Typically Aarathi and revolves around conversations between Kailasam and female protagonists from four of his plays. The protagonists will be seen quizzing the writer about the characterisation of their roles. " Chaya Singh will be playing all the four characters. She will be etching the roles of Paatu from Tollugatti, eeke, Venkamma from Home Rule and Sule from the play Sule. "I've got an opportunity to play the roles of a bubbly girl; dominating old lady; greedy woman and a call girl in this film. This project challenged me as actor as I had to put to use different body language and dialogue delivery styles for each character," says the actress. Her appearance also varies from one character to the other. "I have a very retro look in the film. What's interesting is that the colours of my costume are relative to the attitudes of my character. For instance, you'll see me wearing a lot of pink and floral prints when I play the bubbly girl. But red and black have been used to bring out the dark side of another character." Chetan, who is the designer for Upendra's upcoming film Super is the costume designer for this film. In fact the whole film is set in a retro backdrop. 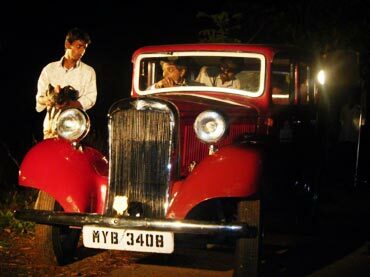 It is set in 1950-60s and vintage cars have also been used in the film. "Rs 10 lakh has been spent by producer S V Babu on the art department alone," says Srini, who has played four roles including that of Kailasam's. Playing the role of Kailasam was no cake walk, he adds. "Initially there were plans to make a play on this concept. We had even begun the rehearsals. But then we felt that if it were to be made into a film, the reach would me more. Anyway, I had got into the skin of the character during the play rehearsals itself, but it was quite a task mastering the dialogue delivery style. It had to be said in a witty way. 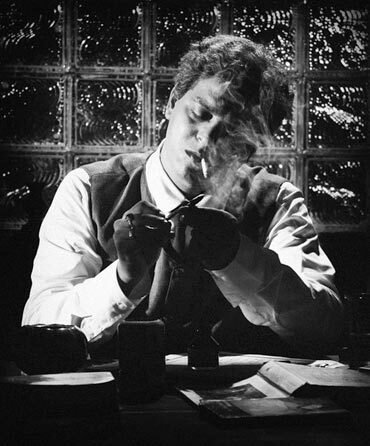 I also had to pay great attention to the writer's smoking and drinking styles so as to master it." Srini prepared for the role by speaking to people who were well aware of the author. "We also relied on Kailasam's photographs while etching out my character. Also while researching what we realised was that there were no videos on Kailasam. We thus further felt the need for the film to be made and fill the gap," he says. The film uses a multiple narration technique. Actor Srinagara Kitty is the narrator. Music is by Anoop Silin and Shreesha Kudevalli is the cinematographer. While there are plans of screening Simply Kailawesome in Goa, Dubai and Australian film festivals, the film will premiere in Bangalore on October 8. Shows will be also be held on October 9,10, 15,16 and 17 at 7 pm and 9 pm at K H Kalasoudha, Hanumanthnagar.